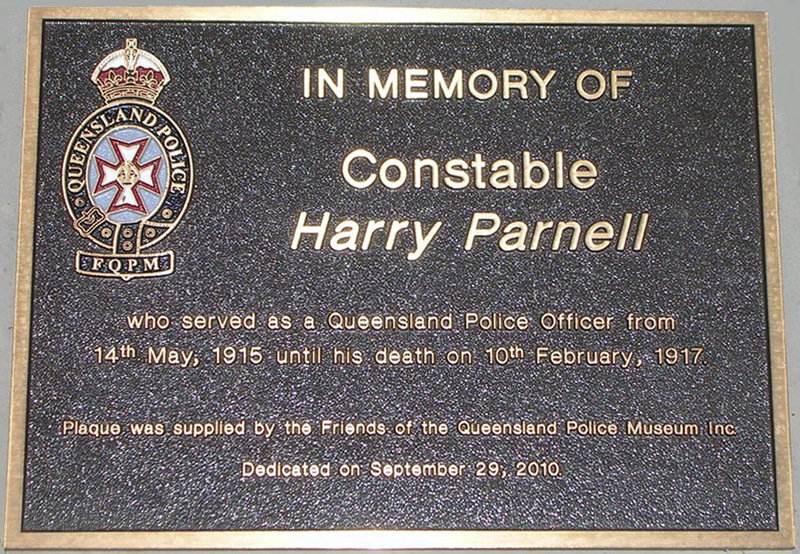 The FQPM funded the production of brass plaques for four Queensland Police officers buried in the Longreach Cemetery for whom no gravestones existed. The plaques were produced for Senior Sergeant John McHugh, Constable 1st Class Ernest Case, Constable Joseph Vincent Murphy and Constable Harry Parnell. Senior Sergeant John McHugh joined the Queensland Police on 2 October 1896. He saw service throughout Queensland, and was promoted to the rank of Senior Sergeant in July 1932 when stationed at Ingham. He was transferred to Longreach the same month. On the morning of 5 February 1933, he appeared in normal health when he commenced work at his office but later complained of felling unwell and walked to his residence. While climbing the stairs he collapsed. A doctor was called, but McHugh did not recover and died shortly afterwards aged 56 years. McHugh was born at Drayton, near Toowoomba, in 1876. His wife died at Hughenden some years before him. He was the father of four sons; Neil, Bernard, Tom, and Michael. 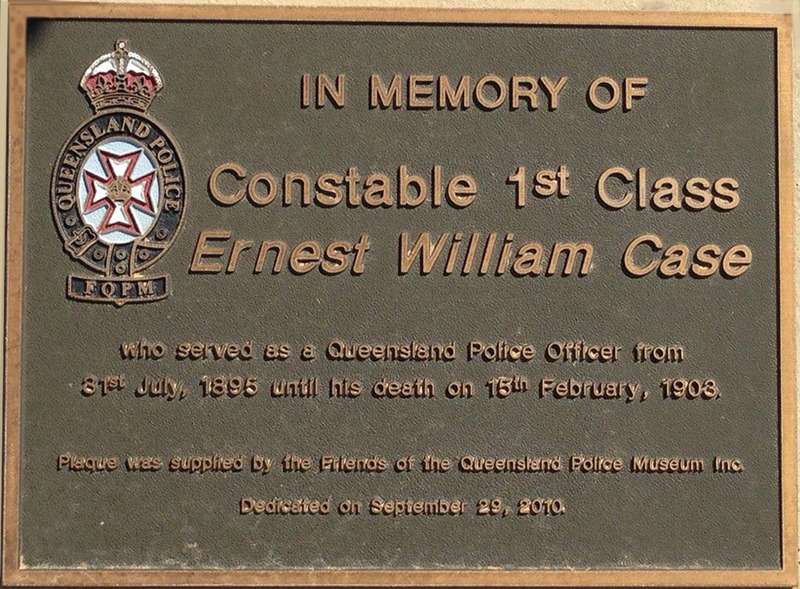 Constable 1st Class Ernest William Case joined the Queensland Police on 31 July 1895 – Registered No. 125. He died at Longreach on 15 February 1903. Constable Harry Parnell was born in Rugby, England, and was 30 years of age, a single man, at the time of his death on 10 February 1917. He joined the Queensland Police at Brisbane on 14 May 1915 and was transferred to Barcaldine where he remained for about twelve months before he was transferred to Longreach in October 1916. On 26 December 1916, be complained of feeling unwell and was examined by the Government Medical Officer, who ordered his removal to the General Hospital. His illness was diagnosed as typhoid fever. Parnell appeared to be recovering from the illness until 3 February 2017 when he had a relapse and died seven days later. Constable Joseph Vincent Murphy joined the Queensland Police on 1 September 1897 – Registered No. 732. He died at Longreach on 1 February 1906.